INTELLIVISION TRON MAZE-A-TRON by DISNEY USA CARTRIDGE ONLY TESTED! Unique Game! 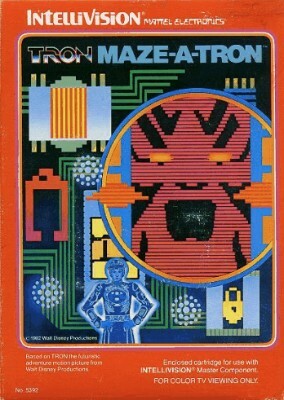 Vintage 1982 Intellivision Tron Maze-A-Tron Video Game! Mattel Electronics!